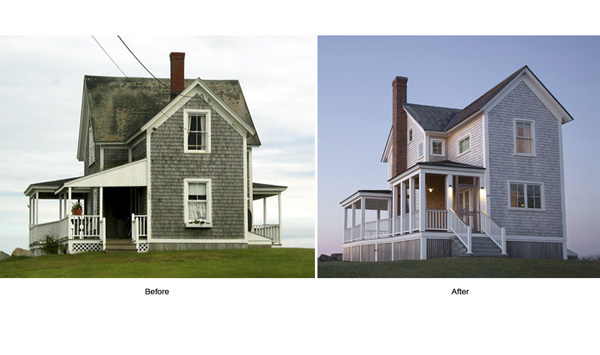 This renovation of an austere 1880’s cottage maintains the original footprint and expands upward, emphasizing its original slim profile. 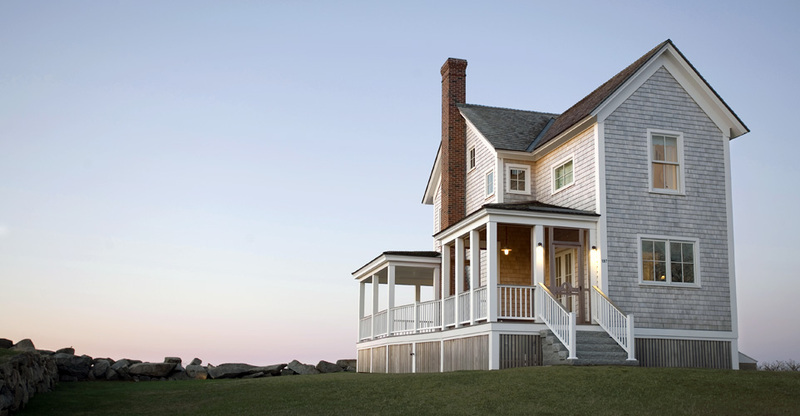 Façade are restrained on three sides; then, it opens to the water with a broad wrap-around porch, and generous but careful glazing on each level. The open main level provides kitchen, dining and living spaces, with an exuberant stairway twisting its way up to each level. On the second level the master bedroom/bath with its panorama of the beach, the daughters’ bedroom, and a compact bathroom/laundry are placed. Above, we found space for a loft, its triangular window looking over the beach to the water. From the outside, the house looks old, genuine, well-preserved; inside, it is light, bright, clearly more modern, and celebrating its site.